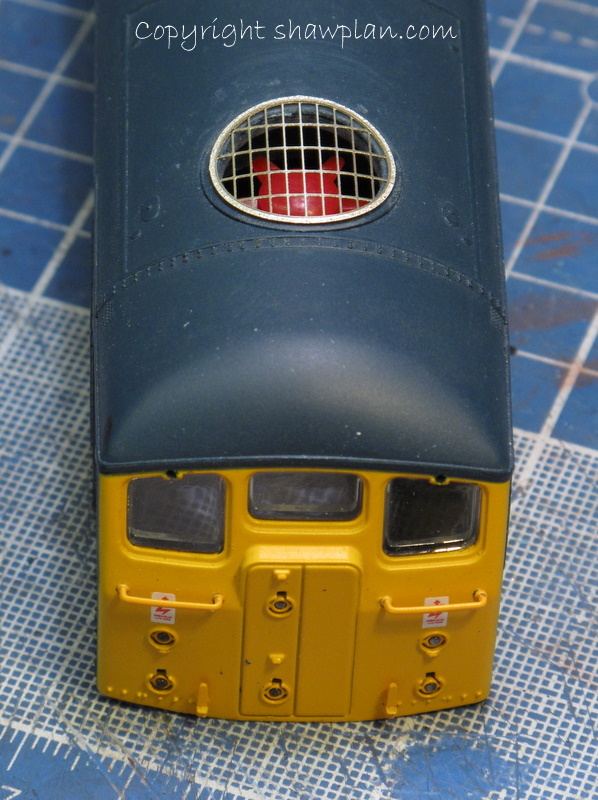 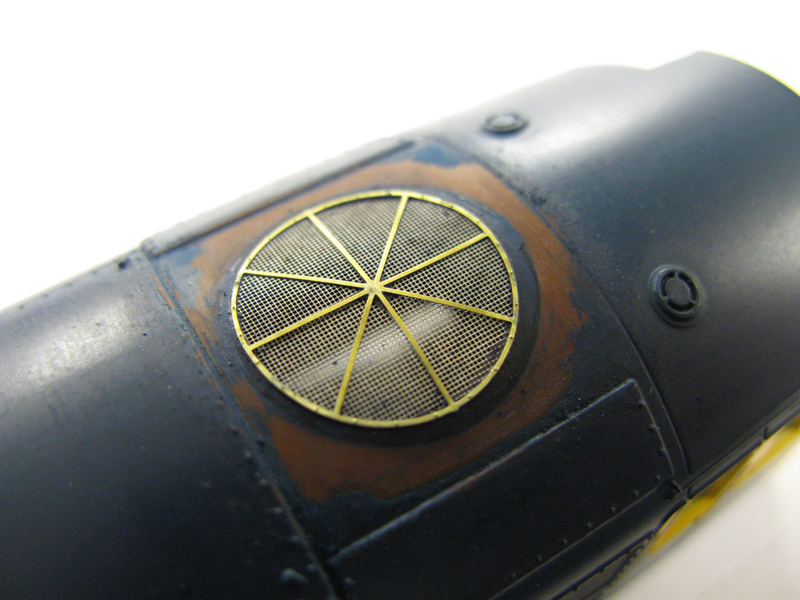 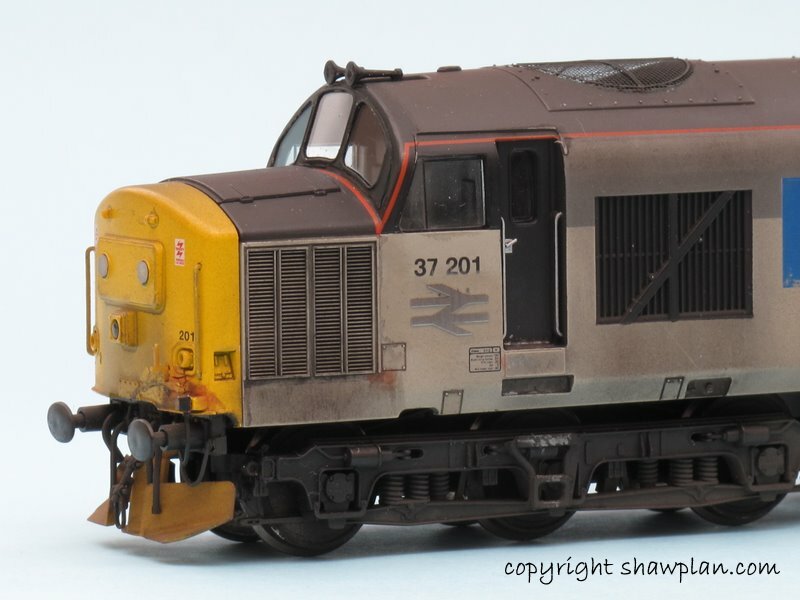 These images show the roof fan and grill set for the class 24/5 in 4mm scale. 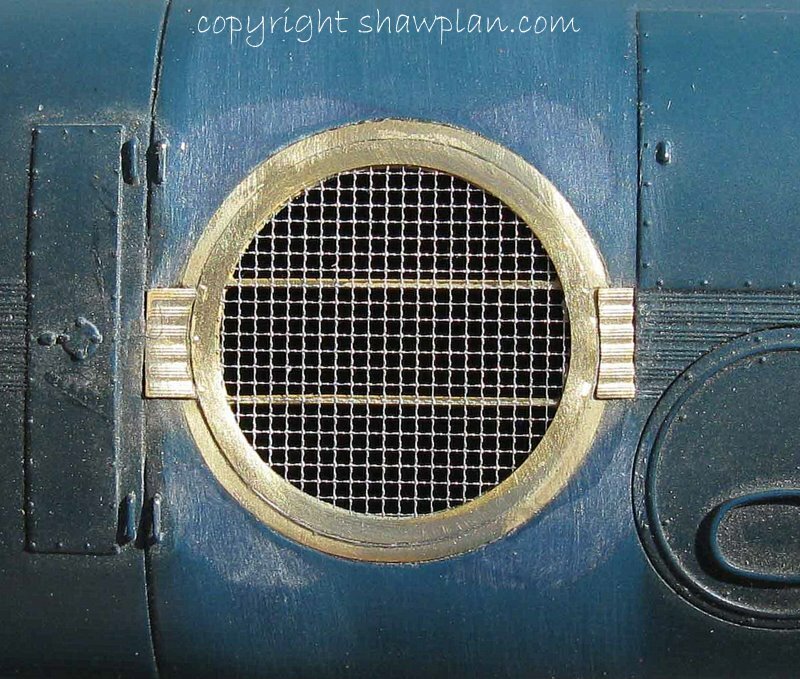 They are formed from three stainless steel etches and make up in three layers to the assembly shown here. 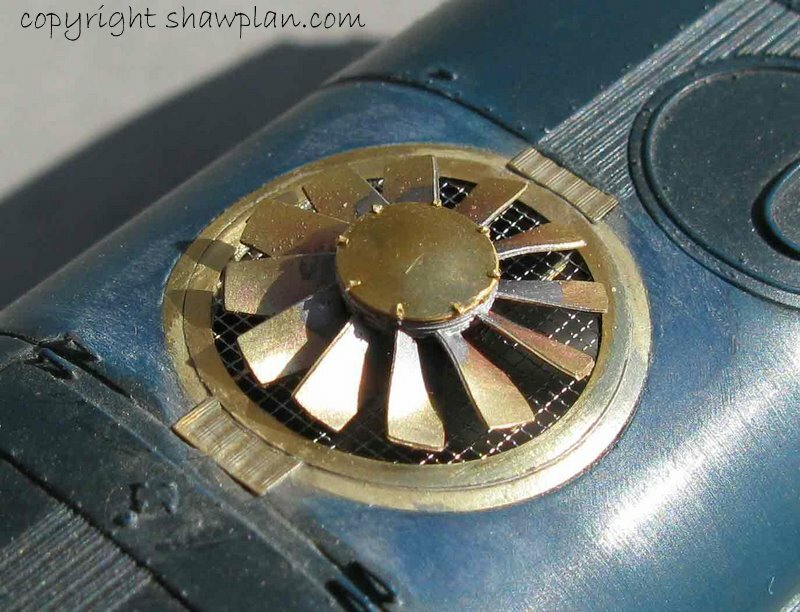 The fan is also available and further pictures will show the assembly in the next couple of days. 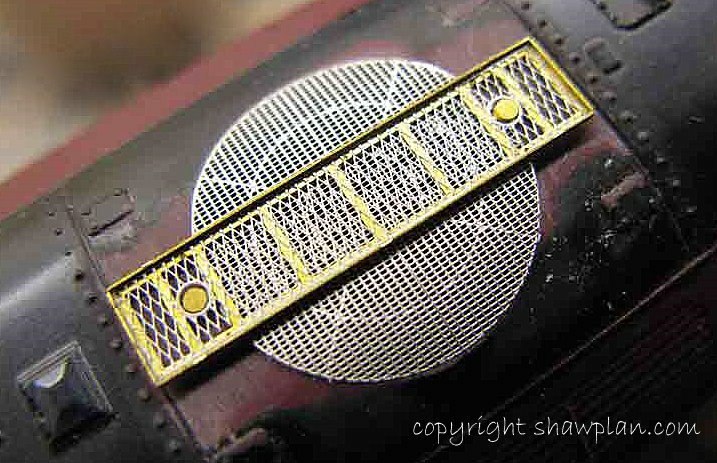 Whilst a three part etch may seem daunting initially, the assembly has been made significantly easier with two etched jigs that hold the grills in alignment and help ensure the correct curvature of the components. 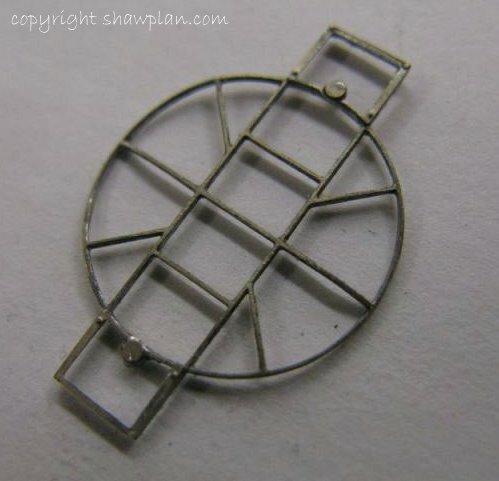 This assembly here has been assembled using ‘thin’ superglue, though solder can also be used. 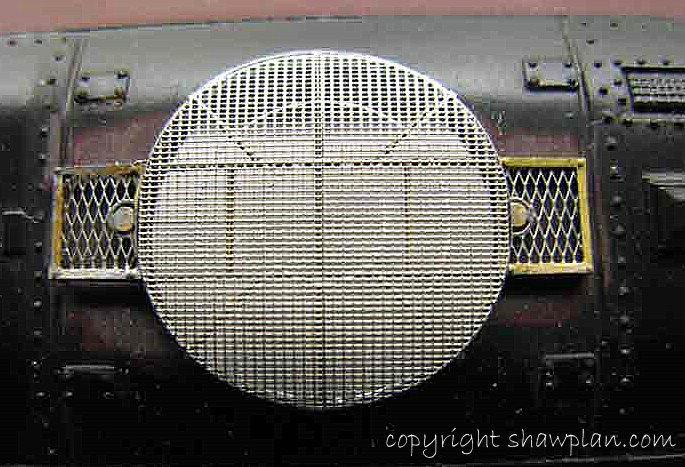 We anticipate these being available for the Wigan show, we are working on final modifications to the etched jigs prior to release. 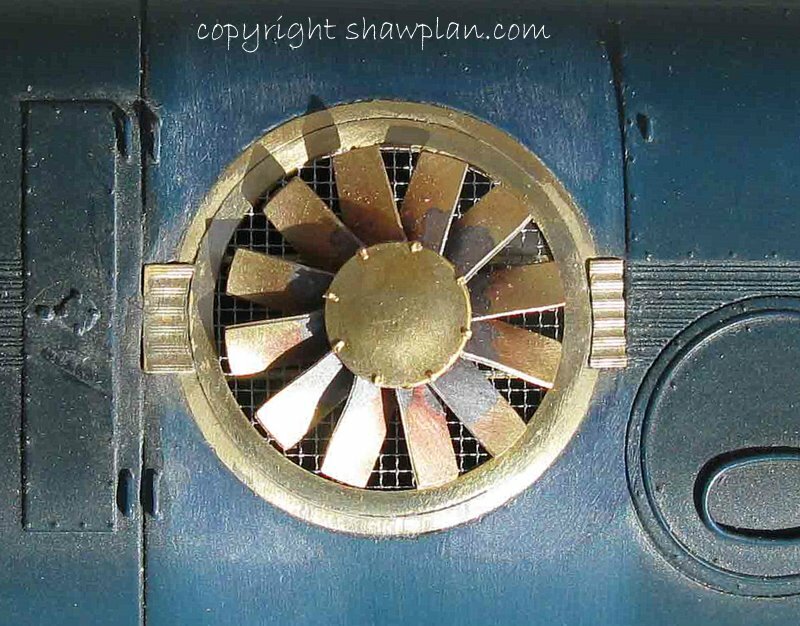 The first image shows just what a big change it makes to the appearance of the Bachmann model. 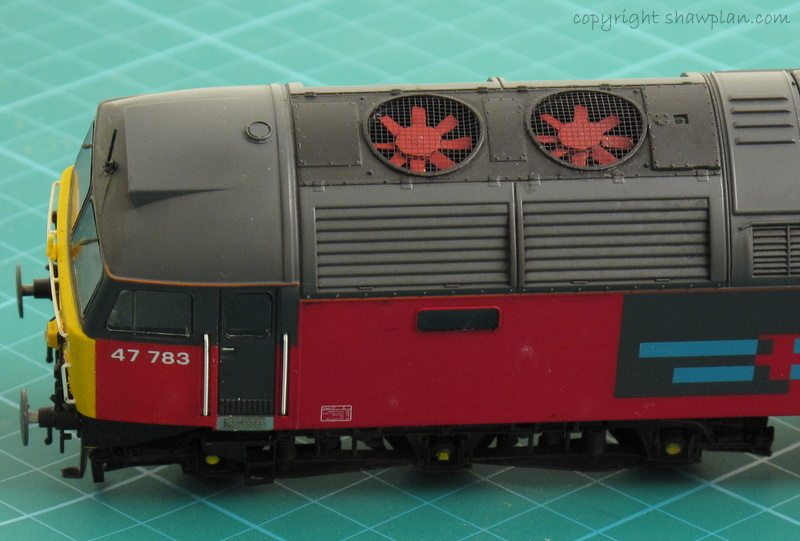 In production test at the moment is a similar design fan and grill assembly for the Bachmann 44/5/6. 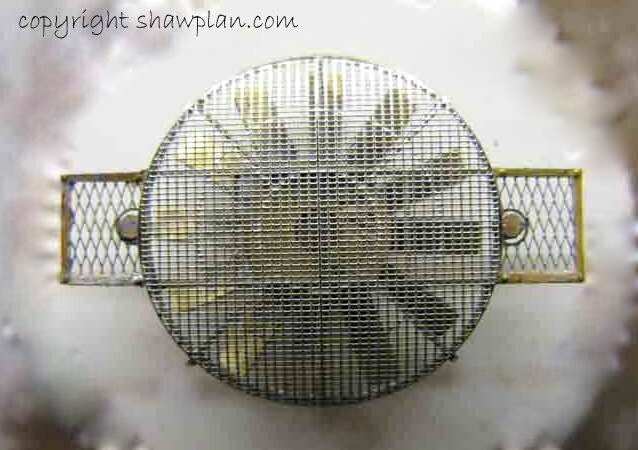 Already available in the Extreme Etchings range are the Class 47 fan and grill assembly. 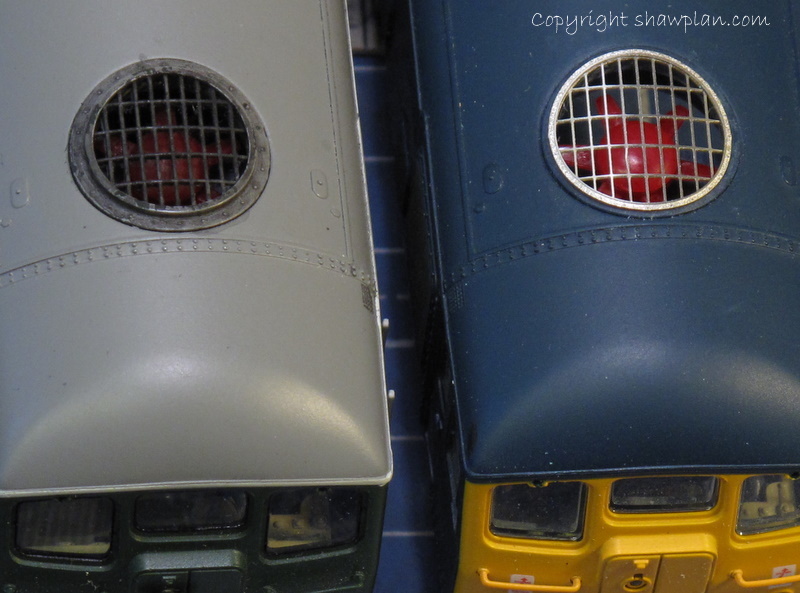 These fit into the ViTrains 47 with virtually no modifications required to the locomotive body. 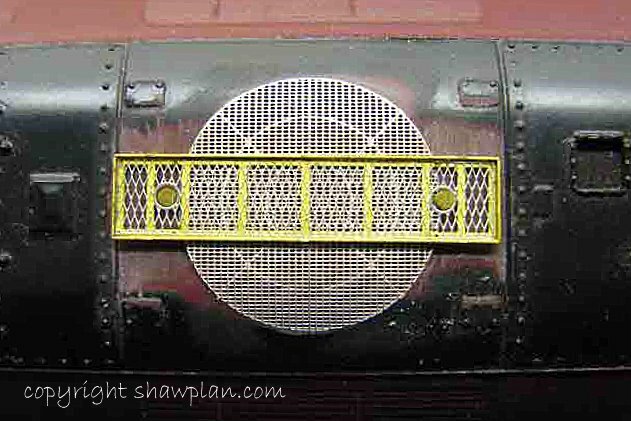 We’ve done a little more work on this demonstration model to make the tunnel ducts that the fans sit in, to further improve the appearance. 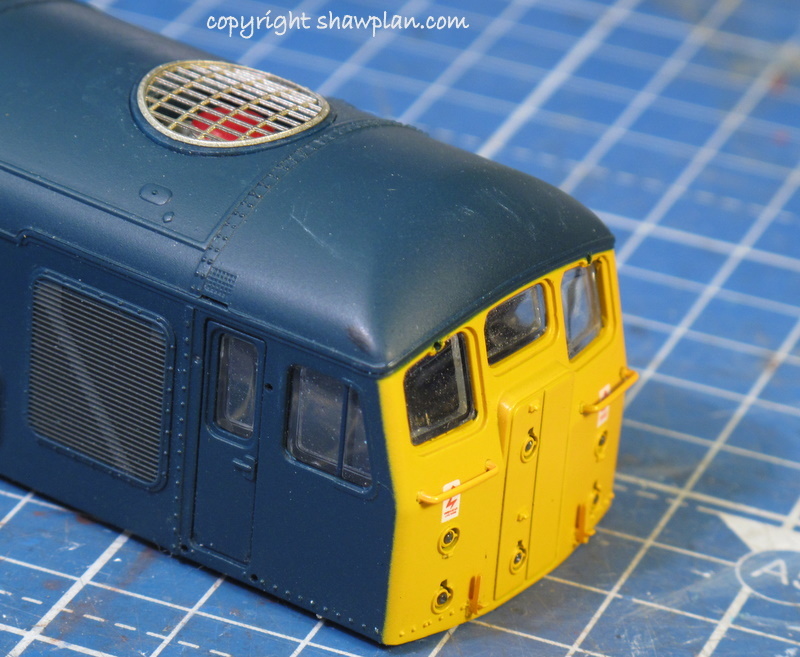 These etches are also suitable for the Bachmann and Heljan models, test fitting has not taken place on either of the bodies as yet. 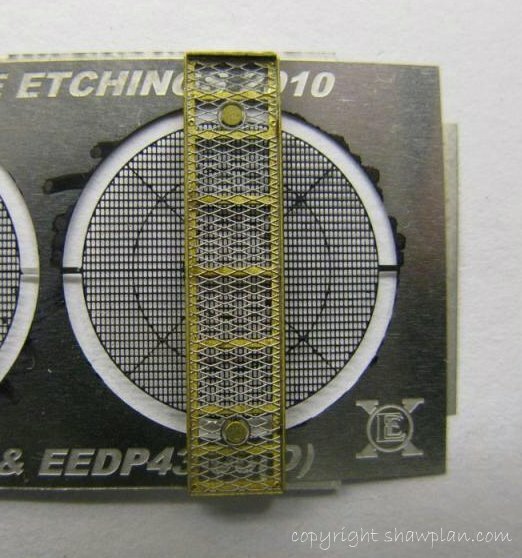 The three images here demonstrate the significant improvement that can be made using Extreme Etching components. 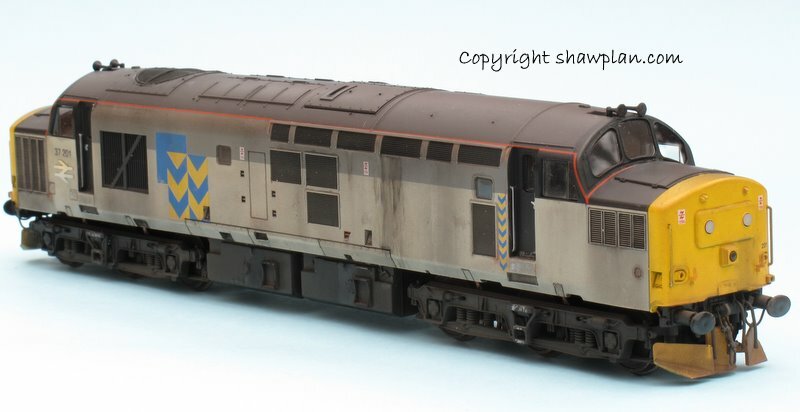 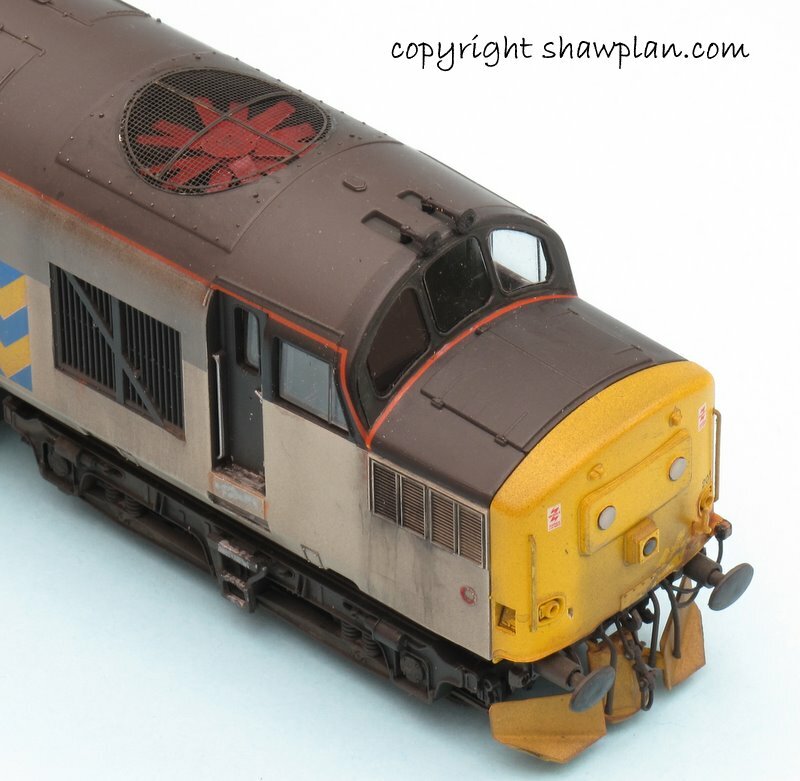 The locomotive is a standard Vitrains Class 37, the components used are etched BR ‘double arrow’ logos, Extreme Etchings fan and grill set, and Extreme Etchings cab glazing include laser cut acrylic transparencies.